Scarlet & Gray Milkies - 1/2 lb. 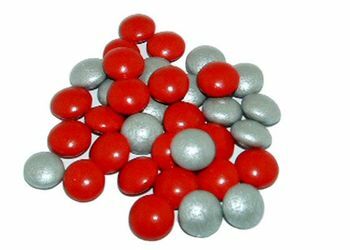 Like M & M's, these red & gray Milkies are milk chocolate with a candy coating. The half pound bag contains approximately nine heaping tablespoons full.